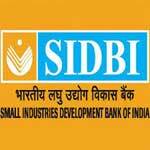 SIDBI Recruitment 2016 – Apply for 100 Assistant Manager Posts:- Small Industries Development Bank of India (SIDBI) has announced latest notification for filling up 100 posts of Assistant Manager (Grade ‘A’ – General Stream). Desirous & eligible candidates can apply online from 21/12/2015 to 11/01/2016. Age Limit: Not below 21 years and not exceeding 28 years. Candidates born not earlier than 22/12/1987 and not later than 21/12/1994 (both days including) are only eligible to apply. Educational Qualification: Bachelor’s or Master’s Degree with minimum 60% (55% for SC/ST) marks in aggregate in any stream, in either of the two qualifications, from a recognized institute / University. Preference would be given to candidates possessing professional qualifications like CA, CS, IC WA, CFA, MBA, Engineering, and Diploma in Banking from a recognized Institute. Proficiency in computers is preferable. Starting Date of Online Application : 21/12/2015. Last Date of Online Application :11/01/2016. Last Date for Printing Your Application : 26/01/2016. Application Procedure: Eligible candidates may apply online through the website http://www.sidbi.in from 21/12/2015 to 11/01/2016. Subscribe our free job alert mail for SIDBI Recruitment 2016.